Want to know why I am so passionate about Disney? Because I am a very proud former, award-winning, Disney Cast Member (and married to a former Cast Member!) and Annual Passholder of 20+ years. My love for Disney started at the young age and never stopped as I continue to share Walt’s legacy for future generations - my son included. During my first visit to Walt Disney World at the age of 8, I felt the magic of Disney touch my heart. That feeling always stayed with me, and I dreamed of one day becoming a Cast Member. A few years later, that dream came true. In conjunction in earning my Bachelors of Science degree in Hospitality and Tourism Management, I completed several professional internships at Disney's Yacht Club Resort and Disney's Grand Floridian Resort. I am thrilled to be an agent with Love the Mouse Travel. My clients reap the benefits of not only my hard work, education, and thousands of unique Disney experiences from WDW, Disneyland, Disney Cruise Line, Adventures by Disney, and runDisney - at no charge! I am ready to help your family's Disney dreams come true, and add that magical touch to any Disney vacation! 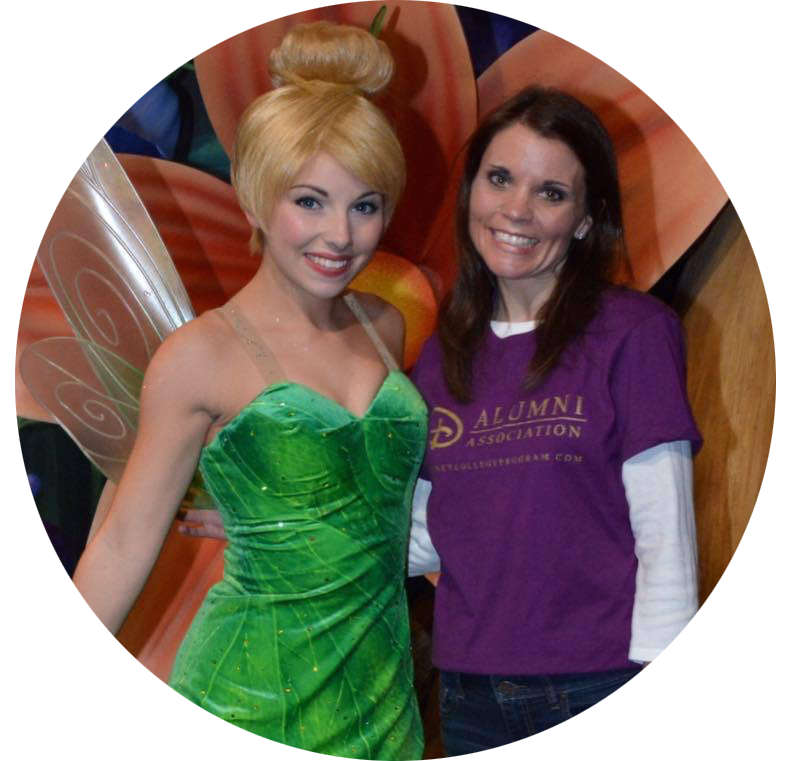 Just think of me as your personal pixie dust maker...after all, Tink is one of my friends!